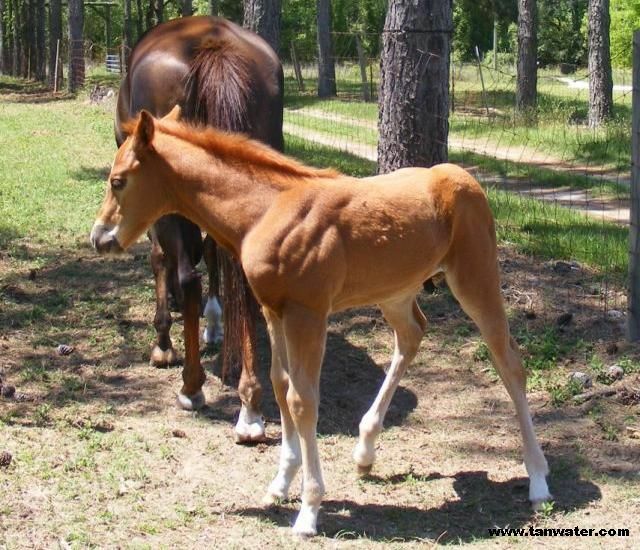 A baby horse is called a colt if they are male or called a filly when they are female. The mother horse is a mare. The father horse is called a stallion. The young colts can stand and walk very soon after they are born. They have very long legs and can run fast. They are soon running and jumping around. They are very curious about everything. The young colts stay with the mare and drink milk when they are very young. They soon learn to eat grass and may try some horse feed too. The colts grow fast. They are very tame if people are around them a lot. 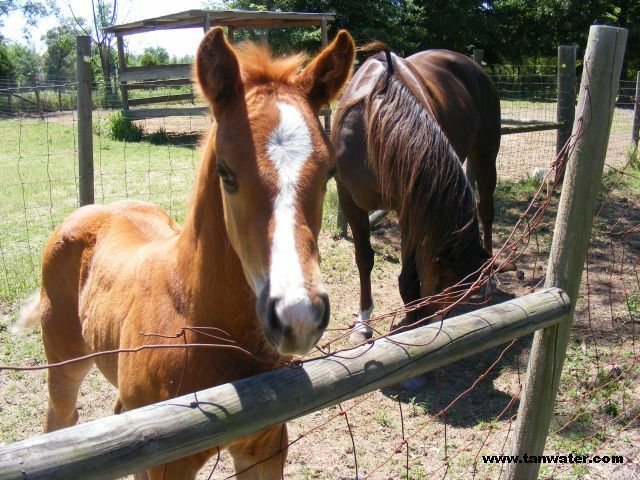 The colts stay with the mare and drink milk for about 6 months before they are moved to the pasture and weaned. They are almost full size by the time they get 2 years old. Then they can start training with a saddle. When they get about 3 years old they can carry a rider. 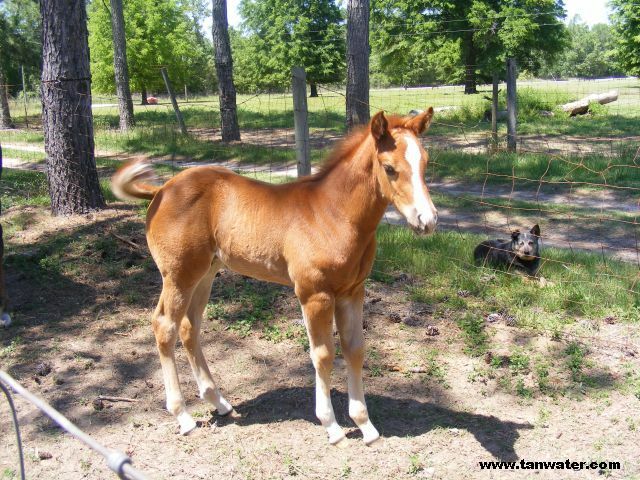 This little colt is a quarter horse. 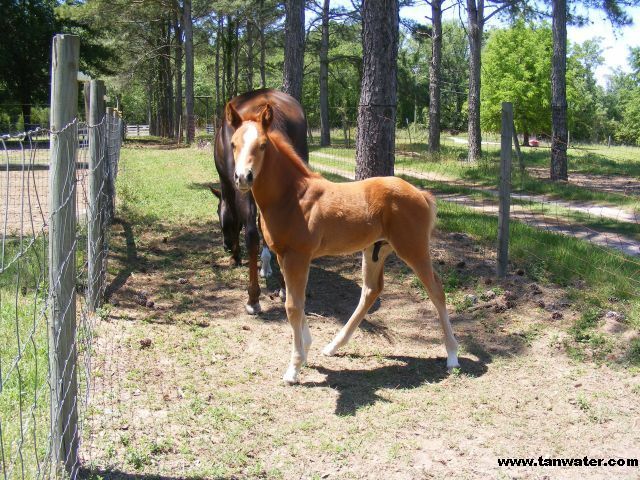 The quarter horses are a little shorter than many horse breeds. They are very fast on short sprints and can turn quickly. Quarter horses are good for working with cattle. This baby's name is Needa Little Hanky Panky. His owner will take good care of him and train him when he is old enough.